We recommend that you get an energy audit to diagnose accurately what your energy needs are. Most times we find simple and inexpensive improvements that will start saving you money and making your house more comfortable right away. Why do I need an Accurate Energy Audit? 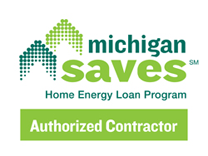 Because we bring 30 years of experience in the building and efficiency field and use state-of-the-art technology to help you make the best decisions to save you money. Does it have to be cold outside to do an audit? No, you can conduct an audit in any season. To get the best infrared pictures, you should have a 10 degree difference between the inside and outside. A typical audit takes two to three hours. How soon can I schedule an audit? You can schedule over the phone or online. Usually the audit can be scheduled in one to two weeks. Your satisfaction is our goal, because without you we wouldn't be in business.